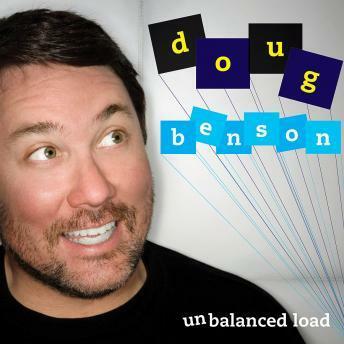 DOUG BENSON: UNBALANCED LOAD was recorded at the Punchline in San Francisco on April 20th, 2009. Why that date? Not because it's Hitler's birthday, but because 4/20 has been adopted as a stoner holiday, and Doug is one of the biggest pot comics out there - he co-wrote the Off-Broadway show (and Comedy Central Records release) THE MARIJUANA-LOGUES and starred in the documentary SUPER HIGH ME, in which he smoked pot continuously for 30 days. You may also know Doug from his regular appearances on VH1's BEST WEEK EVER and his exciting (sarcasm!) 6th place finish on LAST COMIC STANDING. Anyway, it's a funny CD full of pot and pop culture references. Smoke a bowl and give it a listen!